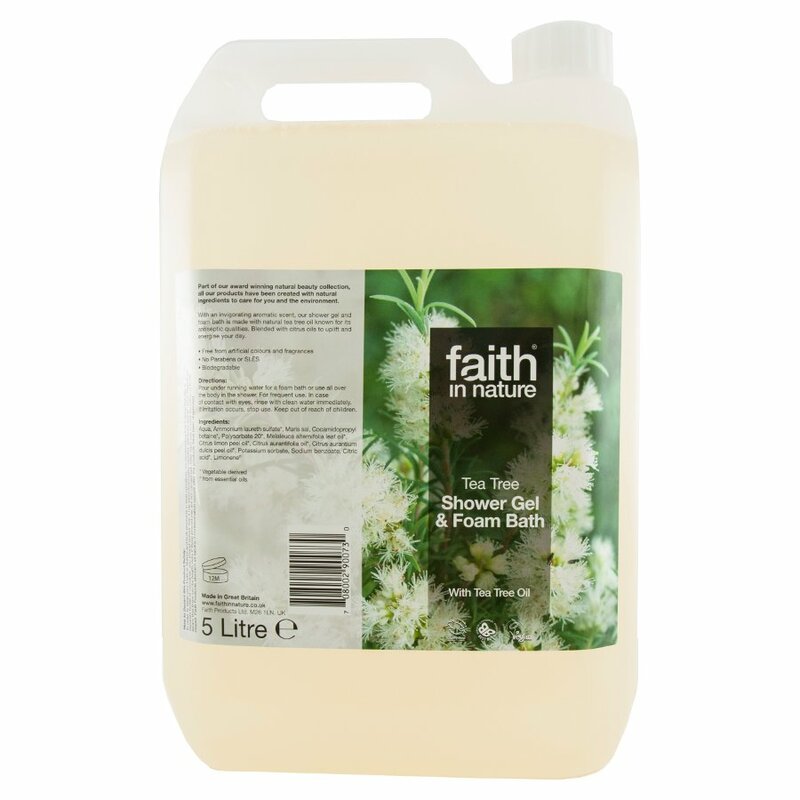 Sit back and enjoy this sumptuous Tea Tree Shower Gel and Bath Foam from Faith In Nature. It's an exceptional cleanser antiseptic and tonic that will make you tingle and zing. Due to tea trees natural anti-bacterial antiseptic and anti-fungal qualities it has the ability to deeply cleanse removing bacteria fighting the effects of grease and pollution and as the tea tree is combined with orange and lime oils the fragrance is fresh and subtle too. Go ahead - indulge yourself. Faith in Nature's natural hair and body care range is made with carefully selected combinations of natural aromatherapy essential oils and herbal extracts in a pure vegetable base. Take a look at what these wonderful genuinely natural additive free shampoos conditioners and cleansers can do for you. Buy in Bulk to save money and reduce packaging waste. 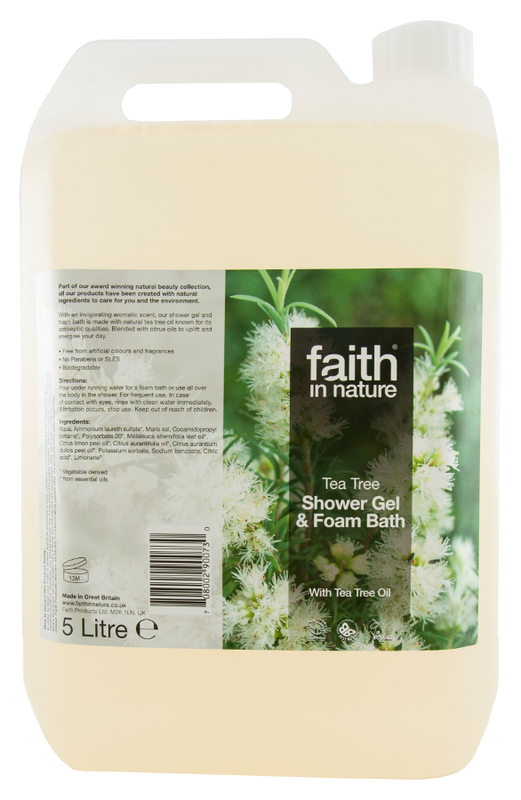 There are currently no questions to display about Faith In Nature Tea Tree Body Wash - 5L. Faith in Nature has come a long way in the last thirty years, since one woman, Rona Rose, starting mixing her own herbal and plant based recipes to create appealing and natural hair and body care products. The company still works to produce the most genuinely natural skincare products which are gentle on the environment and on your precious skin. By combining traditional natural ingredients with modern technology, Faith in Nature continues to produce a high quality, effective, totally paraben-free body care collection with absolutely no synthetic colourings or fragrances.